On Saturday, June 28, 2008 at 8pm, presented by Festival Network in partnership with Carnegie Hall and co-produced by Jill Newman Productions, the JVC Jazz Festival brought Brooklyn's own renaissance man, Dante Smith, a.k.a. Mos Def, to town with his big band Amino Alkaline Orchestra, featuring special guest Gil Scott Heron. Mos Def: Amino Alkaline ' The Watermelon Syndicate rocked the dome of Carnegie Hall for a multi-generation audience of what seemed like thousands. The show opened with Mos' twenty-three piece band walking onto the stage and the image of the late, legendary radio man, talk show host, and activist, Petey Greene, shown overhead on a large screen above the stage, eating watermelon. Petey Greene urged the audience to eat and enjoy; perhaps a metaphor for the evening to come. Once his band was in place, Mos Def seemed to glide smoothly onto the stage, to the roar of shouts and applause. The young rapper, poet and thespian wore a white sailor cap, a long white t-shirt and multi-colored shorts that nearly came to his ankles. The ever unpredictable and charming Mos Def, greeted the crowd and jokingly said to an audience member in the front row, 'What? You don't like my shorts?' The crowd laughed. Mos Def's band started up with classic jazz, bebop and blues sounds, as he sipped water and prepared to deliver his rhymes. The twenty-three piece band included an impressive horn section, keyboards, guitar, drums, and an all female string section, who Mos pointed out are 'very beautiful and talented women.' DJ Preservation was stage left with his turntables playing music samples in between sets. You could feel the love and energy in the air as several audience members throughout the concert called to Mos Def, saying, 'I love you!' and 'We love you!' Halfway through Mos' performance, an audience member shouted, 'Do 'Umi Says'!' Mos paused, faced the audience, and replied humorously, 'Thank you for your interest, but not now. See we got this thing called a set list and rehearsals. For your sake, and ours.' The audience laughed once again. 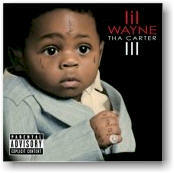 At one point Mos gave shout outs to 'New Orleans' and 'Wayne Carter' for Wayne's newly released album which recently sold 1 million copies. In between songs, Mos told stories and shared his artistic vision with the audience, 'I'm from Brooklyn, New York. Starting a band is an excuse to have a gang. If you gon' bang, bang for freedom,' he said. And then he held his red, black and green flag high above his head. After he spoke, Mos delivered a rap acapella, written by Jay Electronica, an artist he admires who is from New Orleans. It was fitting that Mos Def, one of hip hop's most righteous, and Gil Scott Heron, considered a 'Godfather' of rap and spoken word poetry (most famous for his 1970's poem 'The Revolution Will Not Be Televised'), joined for this occasion. When Gil Scott Heron walked onto the stage, the audience stood to their feet, as they watched a man who they know has given the world his soul through song and music, while battling some of the most challenging times of his life. Gil Scott took center stage, waving to the audience as he began to praise 'this young man,' Mos Def, and advised the audience in a loving, and fatherly voice to, 'Look for things in life that are going to life you up, keep you going,' he said. He then walked to stage right and sat down next to the keyboard player to wait for Mos Def to finish his song. But before Mos could speak, he became emotional because of the kind words Gil Scott bestowed upon him. Mos turned away from the audience and the crowd began to clap for him. After the emotional moment was over, Mos said to the crowd, 'There's a line in one of Suzan Lori-Parks' plays that says, 'you're only yourself when no one is watching.' But who's really themselves now a days when everyone's watching? If you can be yourself when everyone's watching, it really doesn't matter who's watching.' Prolific. Everyone in the audience felt the message he was trying to convey. Shortly after, Gil Scott Heron left his seat to join Mos Def in a duet. Mos Def got the crowd energized when he called out all of the different boroughs, during his duet with Gil Scott Heron on the song 'New York City .' Thereafter, Gil Scott told a story of a time when he and former band mate Brian Jackson were in a rehearsal and a lady they knew brought a 'bad boy' by, for them to babysit. 'Neither Brian nor I knew anything about four-year olds, we hadn't been four in a long time,' he said. 'His name was Bobby and this boy was bad. But when Brian started playing the keyboards, little Bobby calmed down. That's what he needed. We were trying to come up with a title for this song we were working on, then, we decided to name it 'Song for Bobby',' said Gil Scott Heron. He proceeded to sing the song, making his voice go high then low, singing in the way that he does to help us remember a time when love and music was all people needed to feel free. Mos Def joined in and by the end of the song they were hugging like father and son. Before long, Gil Scott waved and said good-bye to the audience and we all felt this was truly a powerful and historic moment featuring two musical icons. Mos Def remarked to the audience, 'I'm feeling a little farklempt, I have to do something gangster now.' He continued to perform newly composed songs. 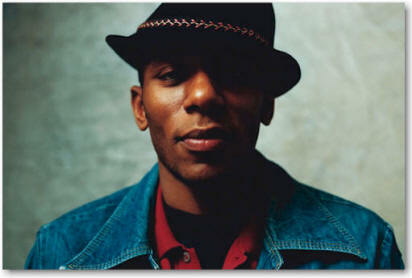 What's next for Mos Def? Production of a book titled Black, 2.0 by Mos Def to be published in fall 2008 (The Doubleday Publishing Group) and a September 2008 concert at the Kennedy Center in Washington, DC. May he continue to shine his light on the world.